This admired presentation was shown to a packed audience at the dedication ceremony, where it received rave reviews and is a must-see for those interested in knowing the history of Richard Etheridge and Station Pea Island. 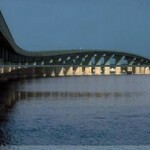 This live exhibition tells about a part of Outer Banks history that is continuing to gain more attention, as most recently evidenced by the new Captain Richard Etheridge Bridge dedicated on Hatteras Island last year, where the station once stood. Etheridge, a slave who grew up on Roanoke Island and was taught to read and write, was the nation’s first African=American Keeper of a US Life-Saving Service station, as well as, Station Pea Island, the only station in the history of the service with black keepers and surfmen for most of its existence. The story of Etheridge and Station Pea Island, occurring during slavery, reconstruction, and lynching in the South Civil is a remarkable story, one that fittingly represents the importance of celebrating Black History. This live presentation, portrayed by a four-member team of the Pea Island Preservation Society, teaches history in an exciting and fun-filled way. Using vivid imagery, re-enactment and interpretation, the presenters teach the story of Etheridge’s life and the events that led to his freedom, the role surfmen played in helping to save lives, and the station’s heroic, most famous rescue of the nine-member crew of schooner E.S. Newman during hurricane conditions along the North Carolina coast on Oct. 11, 1896. Important lessons are taught through this live enactment, such as the unity the all-black station formed with neighboring all-white stations, as well as, how black and white surfmen worked together at an unexpected time in the nation’s history. Two of the presenters, Darrell and Joan Collins are first cousins who both live on Roanoke Island and are descendants of the Pea Island Life-Savers. 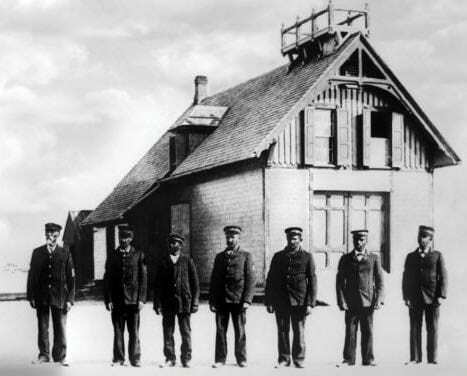 Having family members who served at the station under Etheridge when he took command in 1880, until the station closed in 1947, their personal perspective and knowledge reminds us of why teaching this story of Etheridge and Station Pea Island is so important to the community and beyond. The other presenters, James Charlet and Linda Molloy, are historical interpreters in the area and help bring the history to life by presenting in costumed dress, representative of the period Etheridge lived. This dynamic four-member team has been presenting the live program to enthusiastic audiences at the Aquarium and other locations in the community since February 2016. Within the last two years the group has also been presenting the program to fourth graders at all Dare County elementary schools. Last year the society received a grant of nearly $30,000 from the Outer Banks Community Foundation to help continue to educate the community and beyond. This program will be presented at the Aquarium’s Neptune Theater at noon on Saturday, Feb. 9 and again on Saturday, Feb. 23. This must-see performance will be included as part of the regular admission.